A piece of Vancouver television history was uncovered last week. 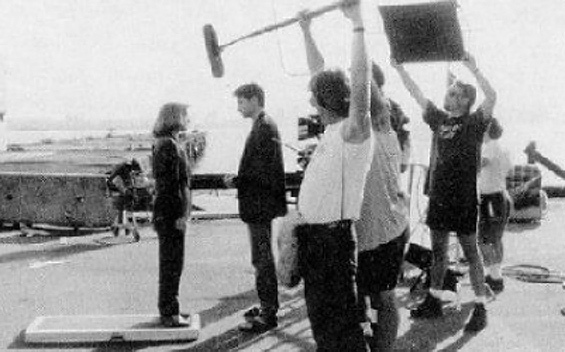 It’s photographic evidence of the “Scully Box” that 5’2″ Gillian Anderson used so that she could stay in frame with her co-star, David Duchovny, who was 10 inches taller. The carpeted aluminum plank, which Anderson started calling the “Gilly Box”, was so ingrained into her work on The X-files that she would sometimes forget she was on it and fall off during serious scenes. I’m about a foot taller than my significant other, so maybe I should get one these for my house.